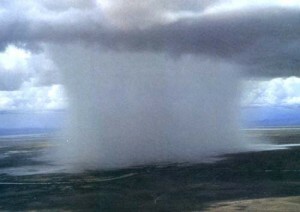 A microburst starts with a typical thunderstorm. What is a thunderstorm? A thunderstorm works like an engine. It pulls moisture and air in and converts it to rain and then pushes wind and rain out. 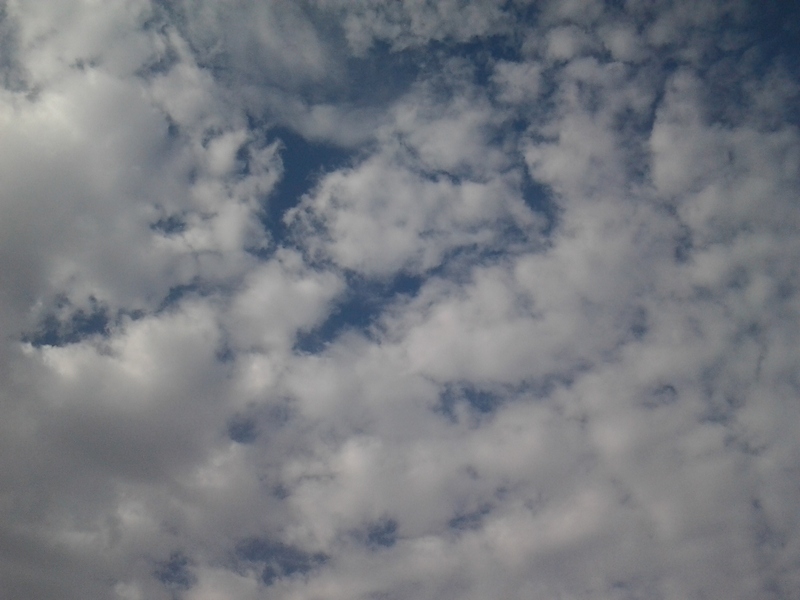 For the thunderstorm to continue; it has to be TILTED. The top of the thunderstorm can NOT be directly over the bottom. 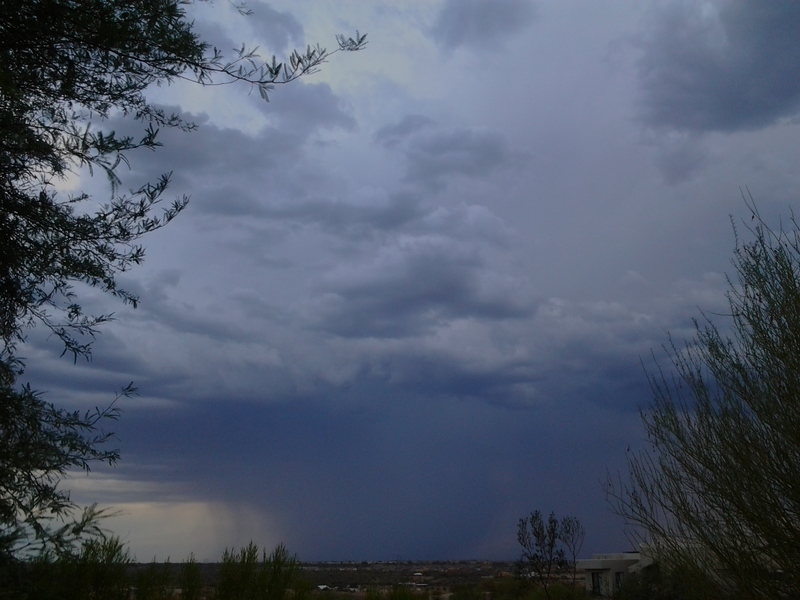 During the later months of Arizona Monsoon (which means a season – like summer is a season), the steering flow in the upper-level of the atmosphere weakens. The UPPER level winds are what tilt storms, such as thunderstorms. The thunderstorm can still form but it will lose the tilt quickly! This picture is the basics of a thunderstorm. 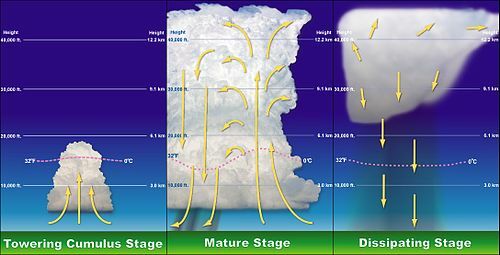 The updrafts and downdrafts are made up of warm air and cooler air. As warm, humid air rises inside a storm, heavy rain forms and some of it evaporates in the colder air on top. This cooled air then sinks, accelerates and spreads out as it hits the ground, resulting in a localized, wind called a microburst. These down bursts are put in two categories. A MACRO-burst and MICRO-burst, only difference is the area they are concentrated in. Picture of the Microburst note: the Cumulonimbus clouds were moving towards the microburst and combining with it! To understand the difference in the sizes of a Micro-burst and a Macro-burst I included another photo from WVVA TV. Microbursts can happen so quickly here in Arizona and this is one reason why so many warnings are placed regarding flash floods. These intense storms are capable of producing winds of more than 100 mph causing significant damage. 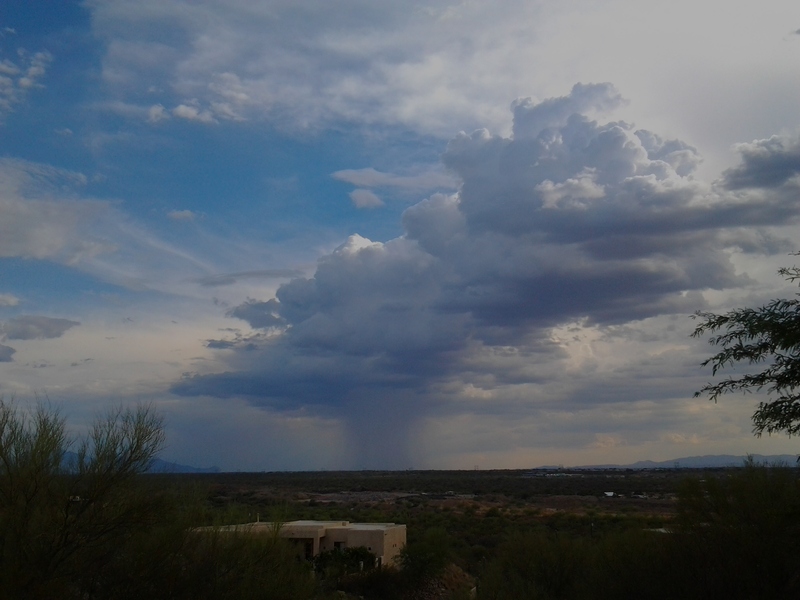 On a positive note: Microbursts replenish the desert with much needed rain. 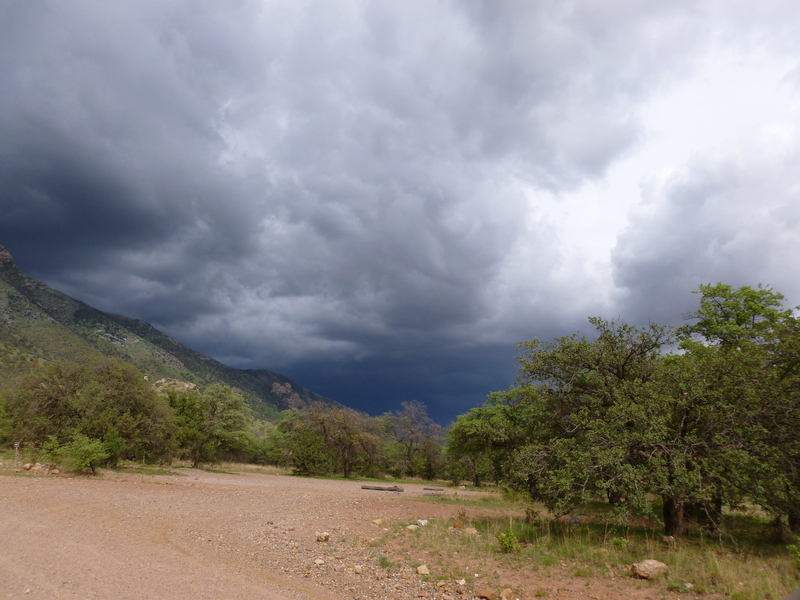 When does Monsoon season start? 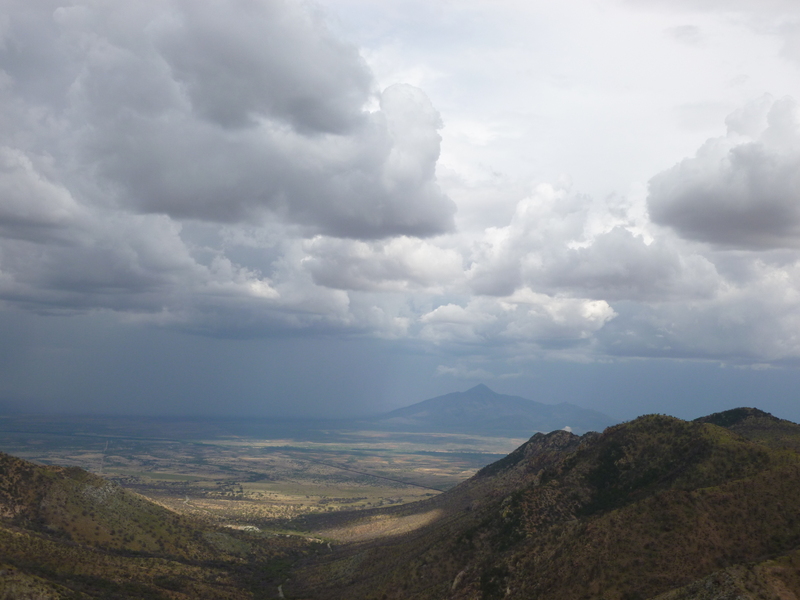 What causes Monsoon? 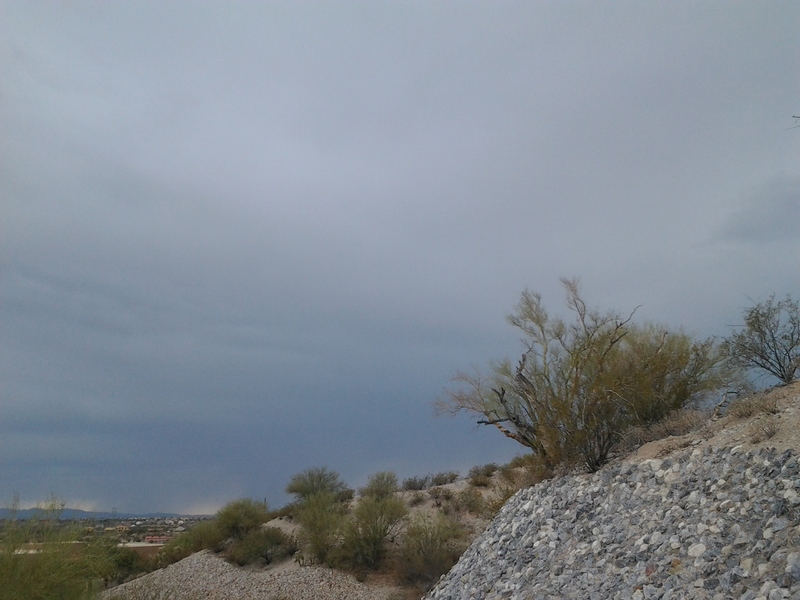 The official start date of the Arizona Monsoon season is June 15. 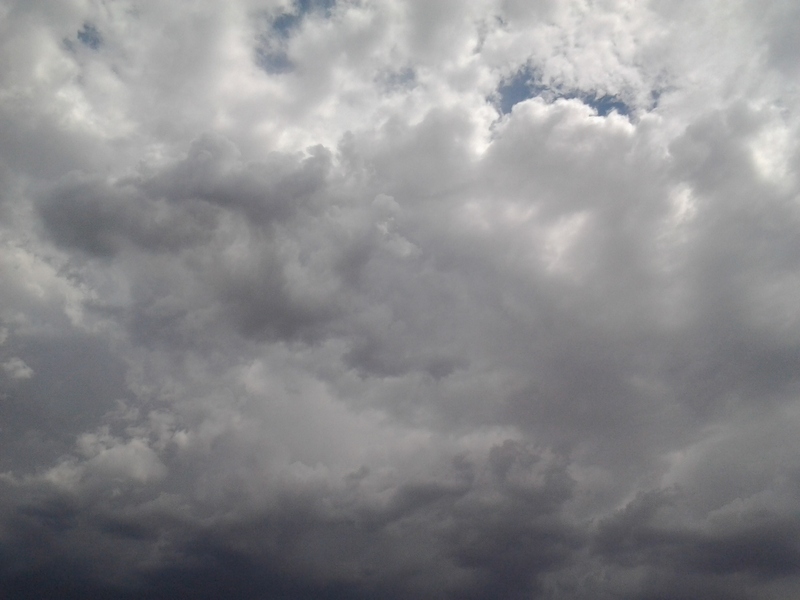 In 2008, the National Weather Service determined the AZ Monsoon starting date along with the ending date of September 30. Traders sailing the Indian Ocean and Arabian Sea used the word monsoon to describe a system of alternating winds which blow from the northeast during the northern winter and from the southwest, during the northern summer. 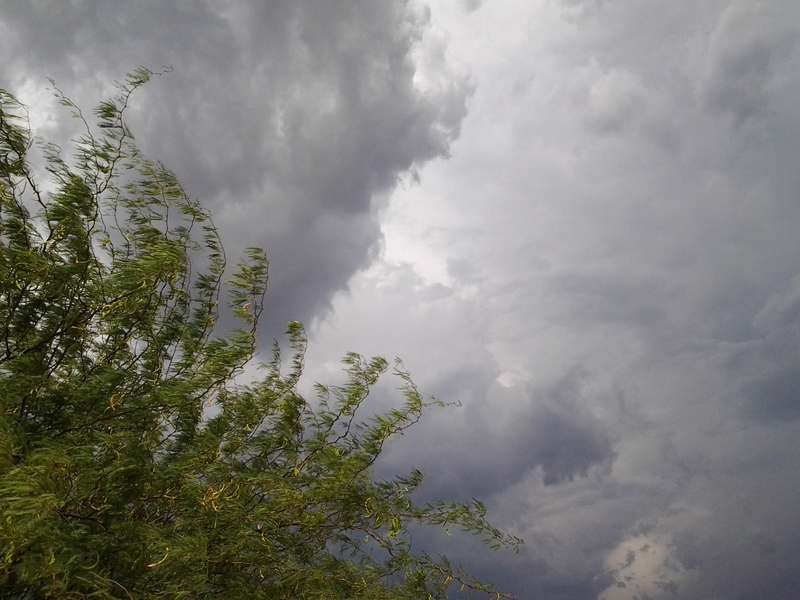 Therefore, the term monsoon refers solely to a seasonal wind shift, and not precipitation. 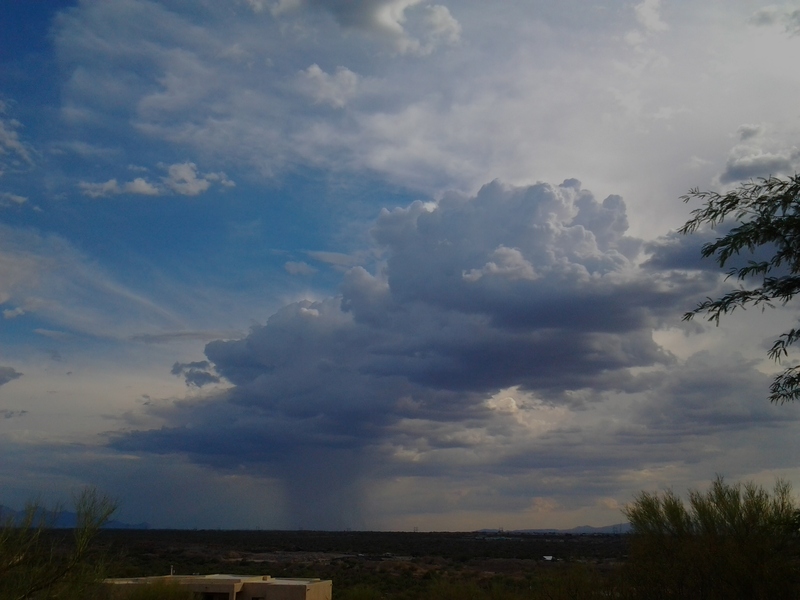 Arizona happens to be located in the area of the United States that experiences a monsoonal circulation. During the summer months, winds shift from a west or northwest direction to a south or southeasterly direction. This wind shift allows moisture from the Gulf of California and the Gulf of Mexico to stream into Arizona. A monsoonal circulation produces a radical change in moisture conditions throughout the entire state. 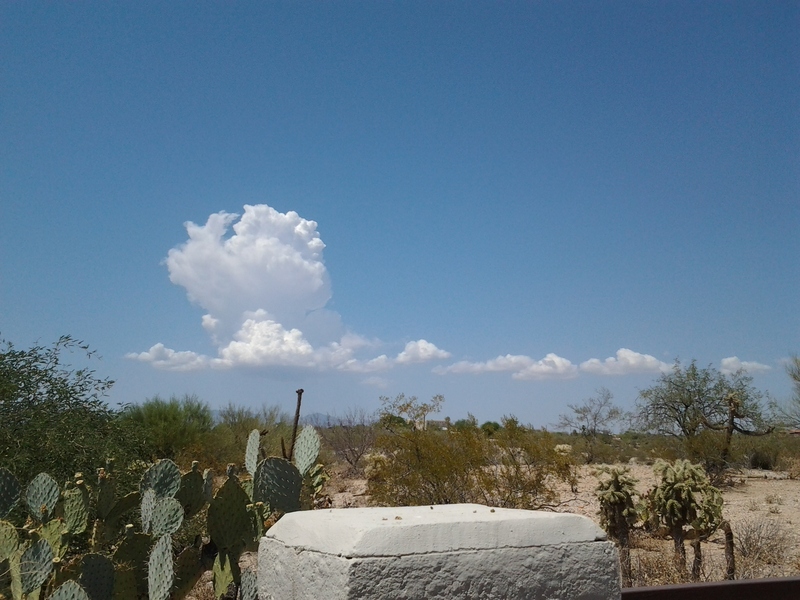 Thunderstorm or cumulonimbus clouds are very familiar during monsoon season. 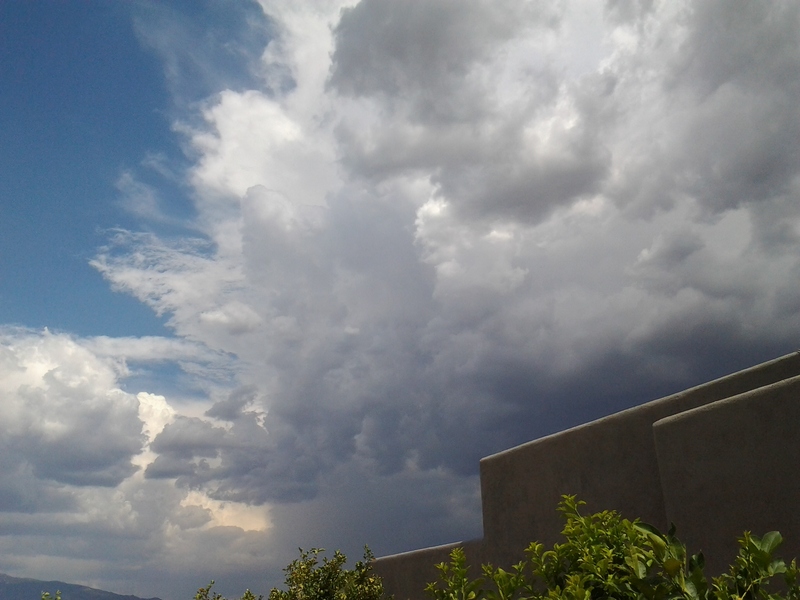 These storm clouds cause lightning, hail and heavy rain. 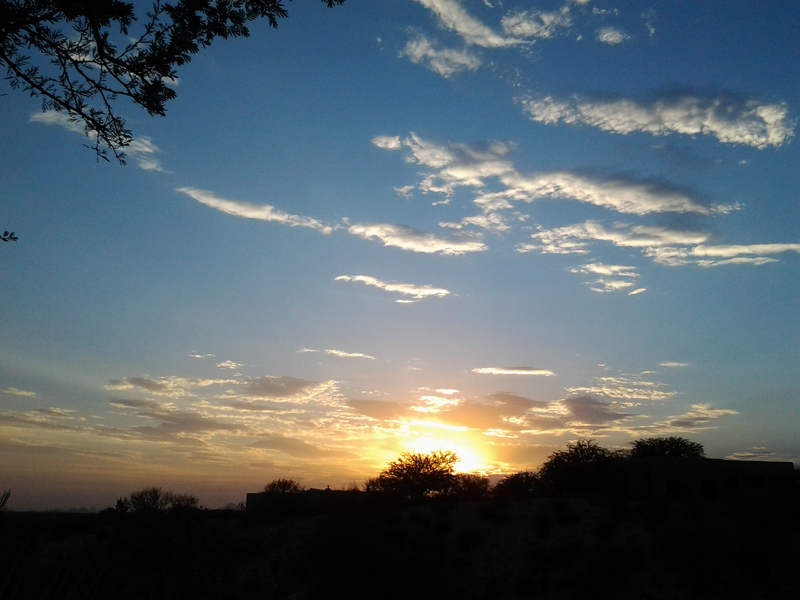 What Arizona experiences during the summer months is only a small part of a larger circulation that encompasses much of the southwestern United States and northwestern Mexico. Thus, it sometimes is also known as the Mexican monsoon. 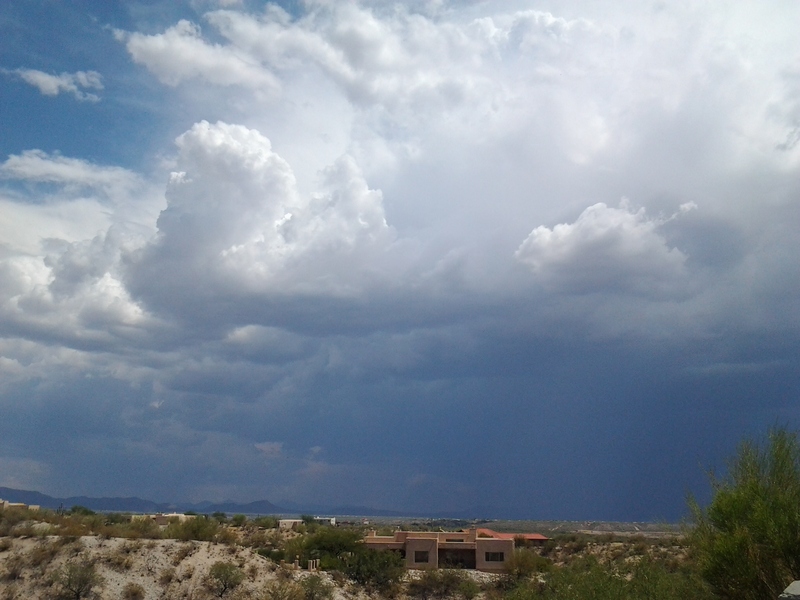 The National Weather Service calls it the North American Monsoon. The southerly low-level winds help to bring in moisture from Mexico. 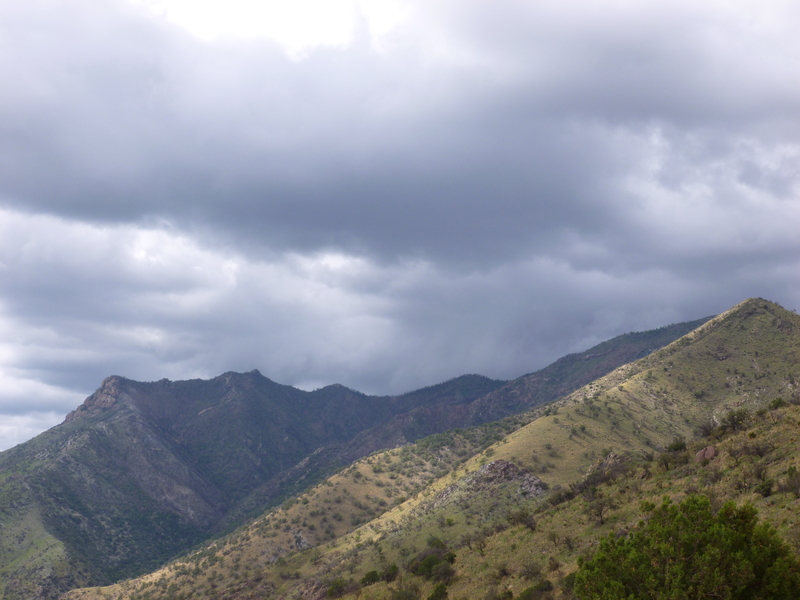 When this moisture encounters the higher terrain of Arizona mountain ranges, it gets lifted and forms thunderstorms. 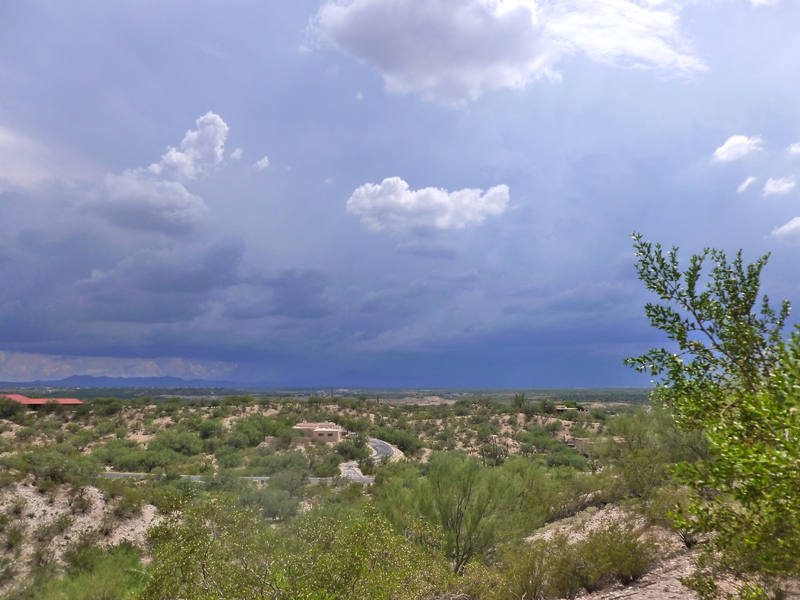 Small driving factors such as: atmosphere interaction, land elevation, soil moisture and vegetation all play a part in what drives the Arizona Monsoon; but it is also why predicting storm intensity is so difficult. 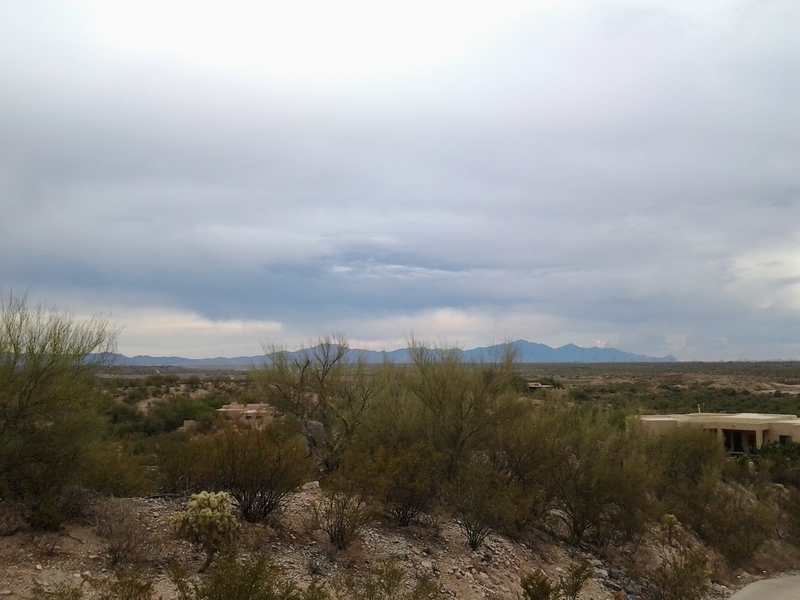 When such high volume rain descends upon the Arizona desert the ground and the surface streets flood. Quite often the rain pools on streets during monsoon storms causing dangerous driving conditions. 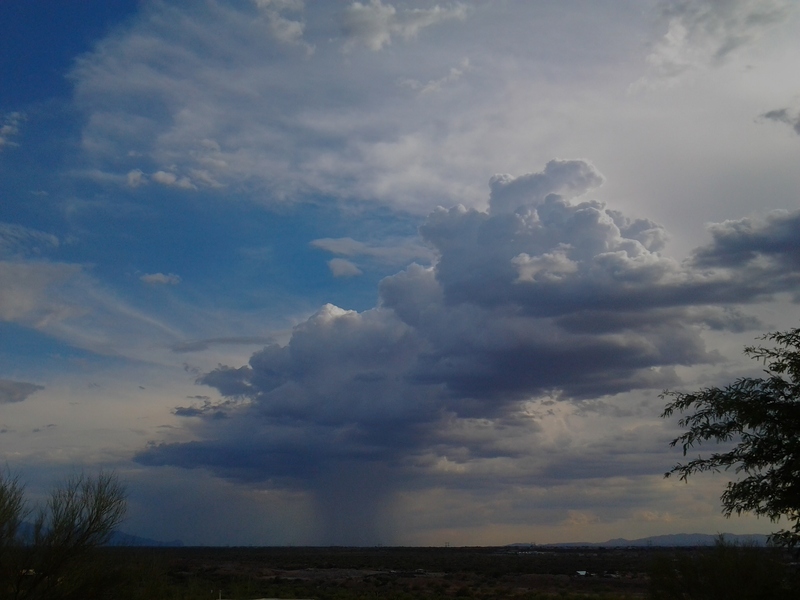 The monsoon circulation does not produce thunderstorms every day during the summer months, but rather monsoon storms occur in a pattern known as “bursts” and “breaks”. 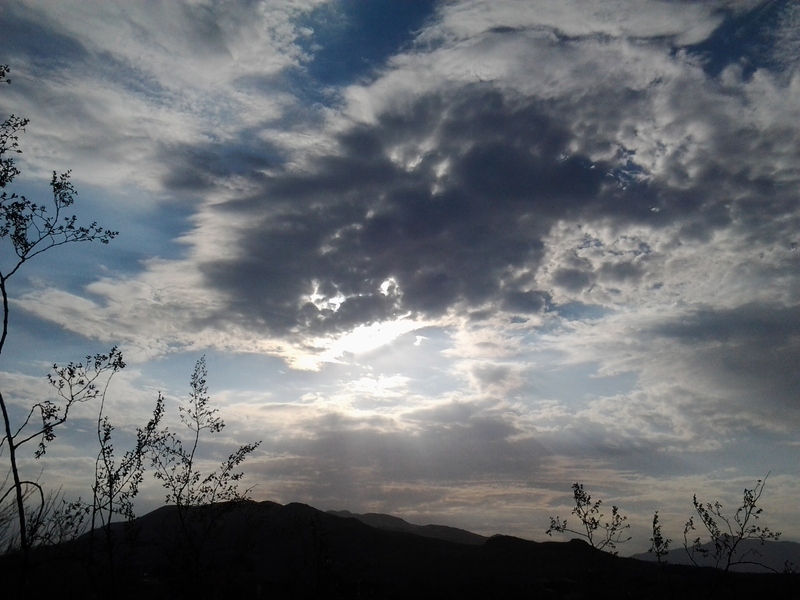 This cycle of bursts and breaks will continue from the onset of the monsoon (typically June), until the time when cold fronts begin to move across the state of Arizona (typically September), which will return our winds to a westerly or northwesterly direction. We hope you enjoyed this article. 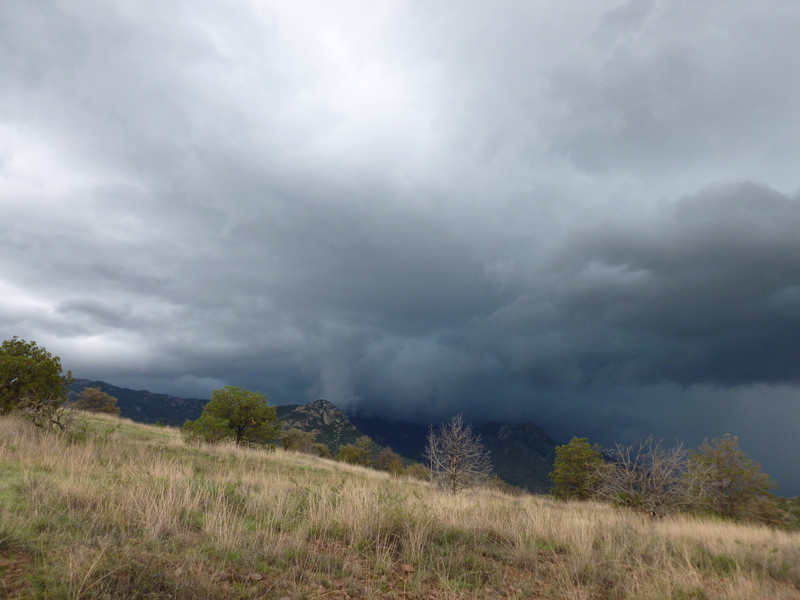 Our goal was to make Monsoon Season easier to understand. 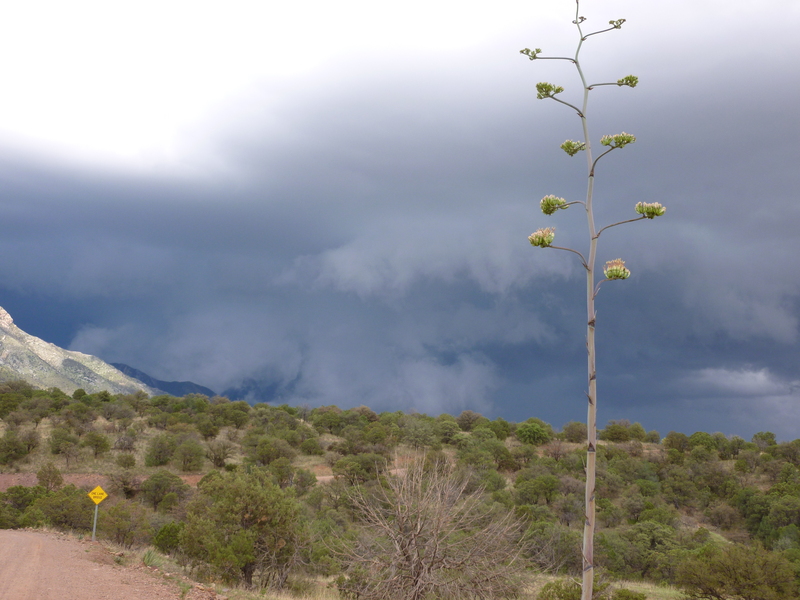 Author tjsgardenPosted on May 5, 2015 May 6, 2015 Format GalleryCategories AZ Monsoon, Clouds, Coronado National Memorial, Microburst Storms, Rincon Mountains, Storm CloudsTags Arizona Monsoon, causes Arizona Monsoon, Causes of the Monsoon, describe monsoon, description of monsoon storms, Mexican Monsoon, Monsoon Clouds, monsoon pictures, monsoon starts, monsoon starts at Mexico Border, North American Monsoon, rain weather in Tucson, rainy weather in Phoenix, Storm Clouds, watch a monsoon, what is monsoon, when does monsoon end, when monsoon begins11 Comments on When does Monsoon season start? What causes Monsoon?